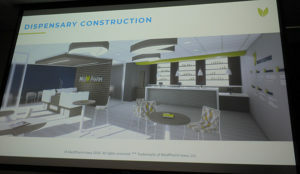 A view of what a dispensary will look like. The company that’s the first to produce medical marijuana in Iowa will also run two of the dispensaries which sell the products. 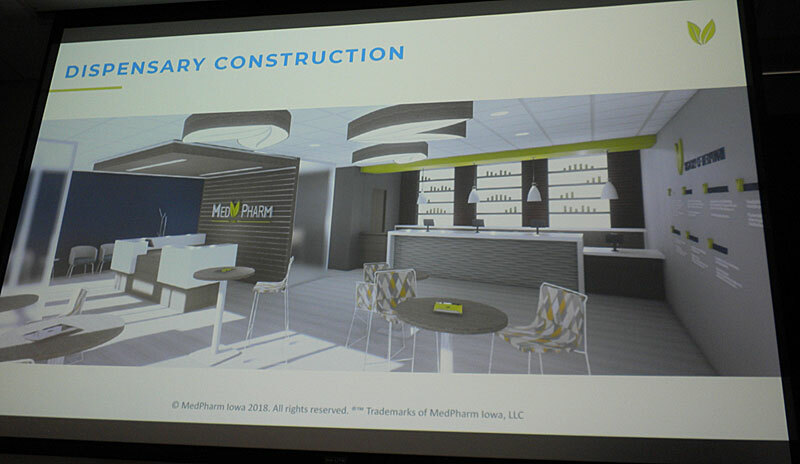 MedPharm Iowa’s Stephen Wilson oversees the dispensary program and says the dispensaries are very modern looking. “If you walk in, it’s very much like a Verizon store if you will — it’s a very open, inviting environment so that patients feel comfortable. Because a lot of times, these patients have very debilitating conditions that take a mental and physical toll on themselves,” Wilson explains. Other companies will run facilities in Council Bluffs, Davenport and Waterloo. Wilson is not sure how those dispensaries will look. “I have not seen the dispensaries themselves, however I can imagine they’re going to have a similar type of atmosphere — very inviting. It’s pretty typical as far was what you see in cannabis dispensaries across the nation,” Wilson says. He says they will cover all aspects of security involving prescription medications. “We have a state of the art security system in place to prevent diversion, theft, release of private health information, things like that,” Wilson explains. Wilson says when patients come in they will meet with an expert and an I-pad right in front of them. He says the give the patients a degree of freedom to learn about the products and as well as other information the patient consultant deems necessary. Wilson says they hope to have an open house at their dispensaries in November. He made his comments during a news conference to unveil the company’s products. They will be sold under the Aliviar name at all of the dispensaries in the state.